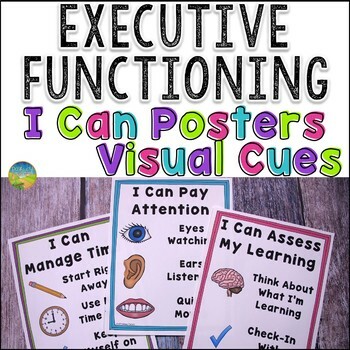 These executive functioning posters help kids learn and practice critical executive functioning skills. The skills include: planning, organization, metacognition, working memory, self-control, time management, attention, task initiation, flexibility, and perseverance. 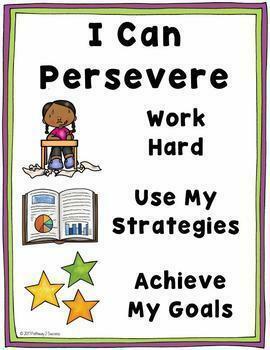 Each poster includes and "I can" statement, a list of ways to work towards the skill, and visual cues. 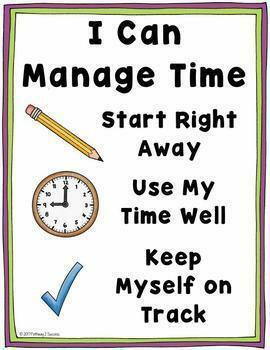 It's important to note that all students can truly benefit from improving their executive functioning skills. For that reason, these posters can be placed in a regular education classroom, special education classroom, support office, speech and language room, or really anywhere! These could also be placed up on a bulletin board as well. 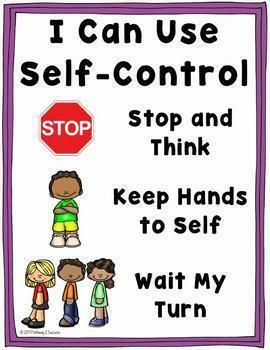 • Planning: "I Can Plan"
• Organization: "I Can Organize"
• Time Management: "I Can Manage Time"
• Task Initiation: "I Can Start Tasks"
• Working Memory: "I Can Use My Memory"
• Metacognition: "I Can Assess My Learning"
• Self-Control: "I Can Use Self-Control"
• Attention: "I Can Pay Attention"
• Flexibility: "I Can Be Flexible"
• Perseverance: "I Can Persevere"
Two sets of posters are included to give options for black/white or coloring printing. These lessons, worksheets, and activities teach specific executive functioning skills, including: planning, organization, time management, task initiation, working memory, metacognition, self-control, sustained attention, flexibility, and perseverance. Each lessons is presented with "kid friendly" language to help younger learners grasp critical concepts of executive functioning skills to boost their brain power. The bundle includes over 300 pages full of lessons, templates, and workbook pages to teach study strategies and ways to improve executive functioning skills. It includes a huge collection of my executive functioning and study skills materials in one place. Click here to follow my store!